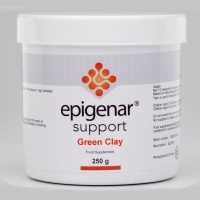 Epigenar are nutritional supplements providing novel formulations to support multible body systems. They have been developed to work alongside the Nutramedix range in supporting the body's immune system. A rich source of polyphenols, proanthocyanidins, bioflavonoids, catechines, gallic acid, and rutin. 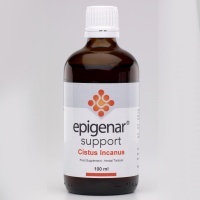 Cistus incanus is traditionally used to support mucous membranes and the respiratory tract. 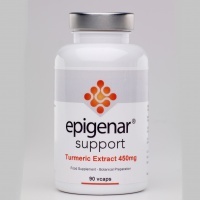 A high potency combination to help support a balanced immune system and maintain the health of the digestive system. 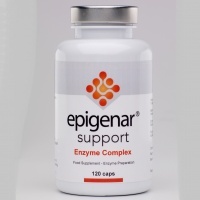 A unique, broad spectrum digestive enzyme complex derived from both plant and animal sources, useful to support the body�s digestive processes. 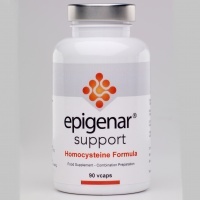 This health supplement contains nutrients to help to lower homocysteine levels For Lyme disease sufferers both forms of B6 and B12 have been included in this formula. 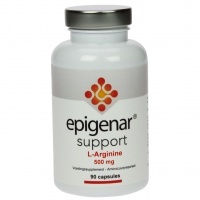 Epigenar L-Arginine is an essential amino acid which relaxes blood vessels and supports cardiovascular health. Boosts growth hormone. 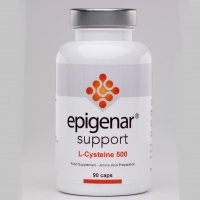 Epigenar L-Cysteine is an essential sulphur containing amino acid to support the growth of connective tissue in the skin, tendons, ligaments, cartilage, joints, bones and liver processes. 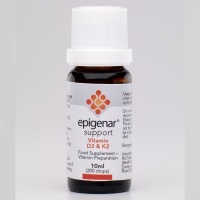 Essential for maintaining intestinal health and the immune response during times of severe stress. 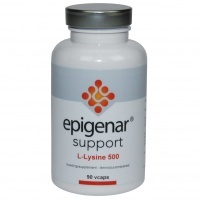 Lysine is needed by the body for enzyme and antibody production. Vegetarians and vegans often have low levels & Lyme disease sufferers are frequently deficient. 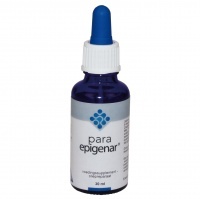 Epigenar Para-Epigenar Oil is a formulation useful to maintain the balance of the digestive system. Anti-parasitic, lyme disease support, anti-fungal, antibacterial. 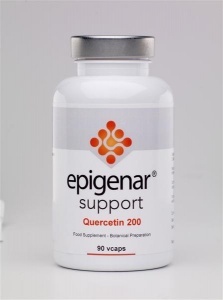 Epigenar Quercetin capsules contain 400mg Quercetin, derived from Dimorphandra mollis, in a vegetable capsule shell. 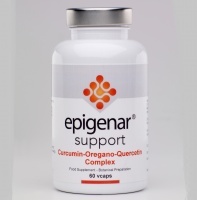 Curcumin has been shown to have anti-inflammatory and liver protective properties. 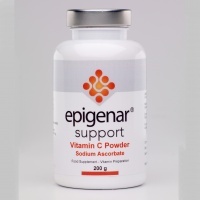 Calcium ascorbate combines ascorbic acid with mineral calcium and may be beneficial for people who are severely ill.
Vitamin C via Calcium ascorbate combines ascorbic acid with mineral calcium and may be beneficial for people who are severely ill.
Epigenar qre nutritional supplements providing novel formulations to support multible body systems. They have been developed to work alongside the Nutramedix range in supporting the body's immune system. Only buy top quality probiotics to boost your gut health. Go here. Let experts decide how much of which nutrient you need. Go here. The "miracle enzyme" that gets rid of inflammation. Go here. Fish, flax and krill oil omegas for adults and kids. Go here. Health4youonline is part of Vanderbell Publishing Limited. Based in the UK, for over 16 years we have provided top quality nutritional health supplements to customers worldwide and practitioners in the UK. We concentrate on leading brands, often those recommended to clients by health practitioners and go through a rigorous process before including any brands on ouse site. You will find, we hope, our staff friendly and helpful when dealing with you and very accessible by phone. Colleagues are fully trained to cover all aspects of your order and our dispatch services, so you will never get passed around from one person to another before you get to speak to the right person. We like to do things 'the old way' but with the help of bang up to date technology. No call centres: Health4youonline staff will take your order when you ring and if they are all busy, one of them will ring you back.